The red variety comes from Italy, Synonyms or varieties are Balsamina, Barzemin, Berzamino, Marzemina Cenerenta, Marzemina di Napoli, Marzemina Nera, Marzemina Veronese, Marzemino d'Isera, Marzemino d'Istria, Marzemino del Tirolo, Marzemino della Terra Ferma Veneta, Marzemino Nero and Marzemino Trevigiano. 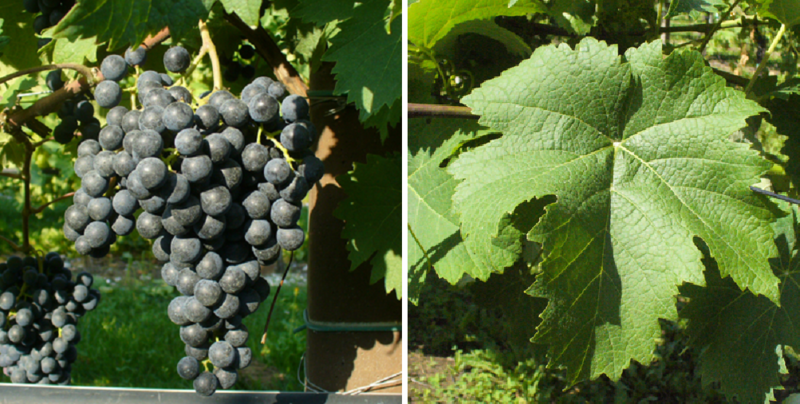 The two most common varieties or Clones are Marzemino Comune and Marzemino Gentile . Despite seemingly indicative synonyms or morphological She may not share similarities with the varieties Lambrusco Barghi. Marzemina Nera Bastarda. Merzifon Karasi. Negrone (Marzemino di Padova), Pavana or Vertzami be confused. According to done in 2006 DNA analysis is Marzemino (as well as Lagrein ) the result of a presumably natural crossing between Teroldego x unknown probably extinct species. Additional analysis showed the parenting of Marzemino for the varieties Marzemina Bianca and Refosco dal Peduncolo Rosso, The hypotheses of descent from the Slovenian community of Marzemin, from Merzifon in Turkey or from Greece prove to be untenable on the basis of these results. This page was last modified at 12 August 2018 at 09:13.